Product prices and availability are accurate as of 2019-04-19 02:37:45 UTC and are subject to change. Any price and availability information displayed on http://www.amazon.com/ at the time of purchase will apply to the purchase of this product. Do it yourself! 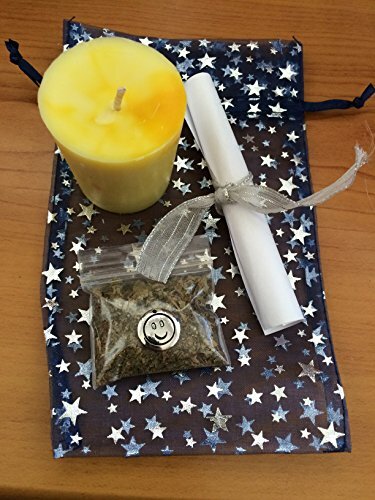 This spell kit will help bring you happiness and positive energy! Includes: One hand-poured and witch-blessed votive, sachet containing instructions, herbs for offering, and a trinket keepsake.